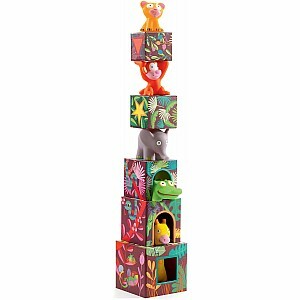 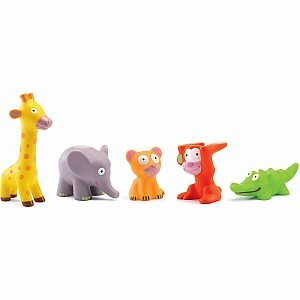 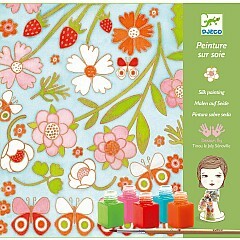 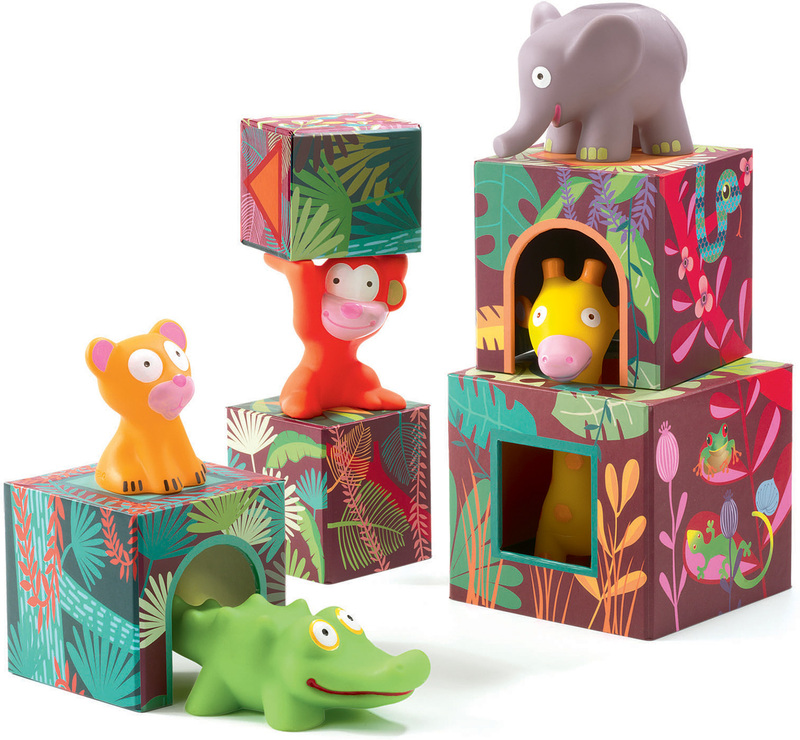 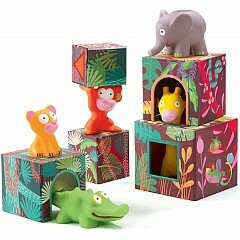 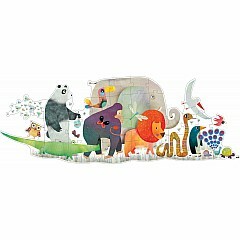 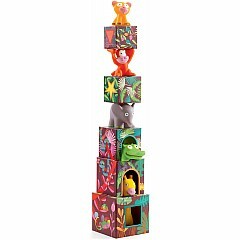 Beautiful graphics and cute animals make up the stacking MAXI Topanijungle from Djeco. 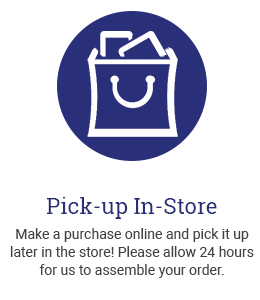 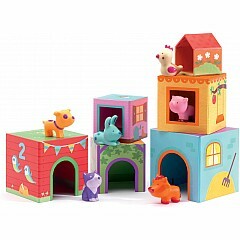 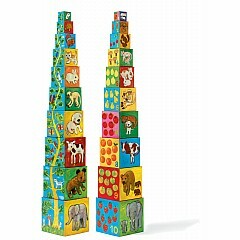 The ten-piece set includes five animals and five building blocks. PVC-free plastic colored with non-toxic paint.